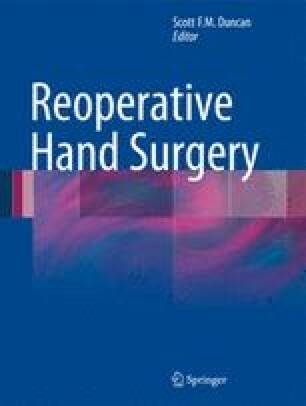 The reoperative hand surgeon is a unique individual. The surgeon who is willing to take on these types of cases, whether they be their own complications or patients who have been referred in from colleagues, faces some unique challenges when compared to dealing with the patient who has not previously been operated on for that particular disease or diagnosis. These patients have unique psychological and social considerations that are compounded by the need for further surgical intervention. Some of these patients may be overtly hostile, and others may have very unrealistic expectations. However, many patients will be very grateful for the surgeon who is willing to rise to the occasion and who has the caring temperament to help guide these patients through their diagnostic and decision-making process. Some patients who think they need surgery in actuality do not; moreover, some patients that would not benefit from further surgery will still want to have surgery performed in the hopes of having some improvement or change in their outcome. This chapter is for those surgeons who understand the unique role of the reoperative surgeon and wish to explore some of the insights needed to try and be more effective.